It’s me Zile! Yes, it really is! Once again we had our annual costume party during Sunday brunch at Donatella’s with lots of candy and good stuff to eat. Everybody was drinking KiwiTinis. 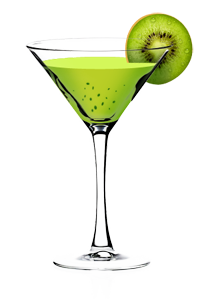 Donatella said KiwiTinis are very good for you and full of Vitamin C. I don’t think Donatella will ever catch a cold. 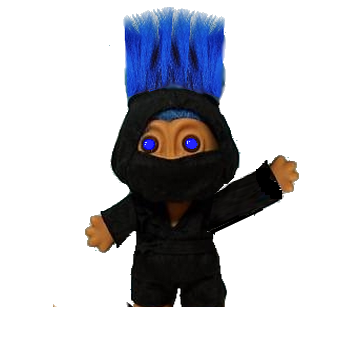 The theme for our Halloween party was ViaViewFiles, the libel blog that’s become a meeting place for all the Twitter Monsters that hate Bullyville aka James McGibney. Just about everybody came in costume dressed as JoJo Camp, Tom Retzlaff, Neal Rauhauser, Hunter Moore, and other Twitter Monsters. I don’t think Selena got the memo. She showed up with no costume at all. 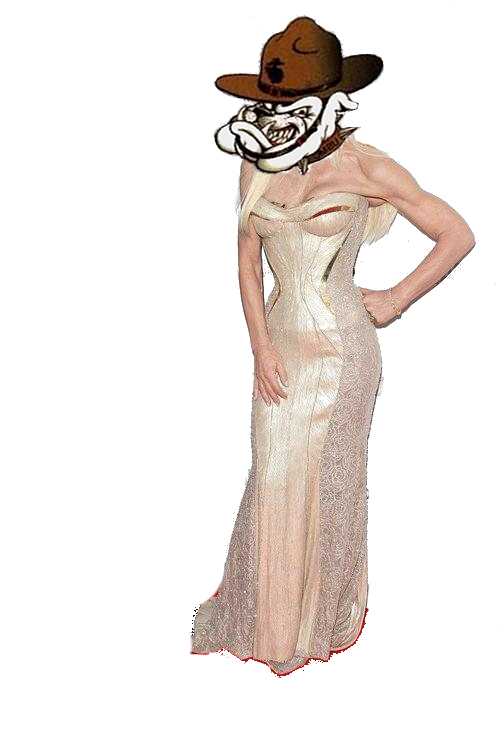 She asked to borrow the Versace gown I made very famous. I felt sorry for her, she just got out of detox to get over her Bieber Fever and I am a very, very nice person so I let her borrow my dress. I have to say that Selena looked very pretty. My dear friend, Donatella dressed up as Zephyr. She told us Zephyr stories...in a New Jersey accent. She was very scary. In case you didn’t know, Zephyr is one of the sock puppets (alternate accounts) of Zapem, Neal Rauhauser’s eternal enemy.Zapem has been sneaking onto the ViaViewFiles blog to post nasty comments. And last week she came up with her newest political conspiracy theory just in time for the elections. Zapem has announced that UniteBlue members have been secretly working for Neal Rauhauser to troll Very Important Tea Party members (like Greg W Howard) and are being funded by the Department of Labor. Now don’t get this confused with Twittergate when Zapem discovered that the troll group, Bean Dogs, was secretly working for Neal Rauhauser to troll Very Important Tea Party members (like Greg W Howard) and were funded by George Soros. That was way back in 2010, this new conspiracy is the updated version, Twittergate II. Being an incredibly sleuthy sleuth, Zapem, after a four year investigation, discovered that Dr. Gabriela Lemus was appointed the Executive Director of Progressive Congress in September of last year. Apparently that is Zapem’s smoking gun. Case solved. Time to post the video. Dr. Lemus earned her doctorate in International Relations and Affairs from the University of Miami. She’s held many impressive leadership positions in her career which includes having been the Director of the Office of Public Engagement at the Department of Labor. You get it now? Neal co-created ProgressivePST which Zapem believes evolved into Progressive Congress where Neal is hiding under a desk somewhere. Since Dr. Lemus is in charge then obviously she must have hired Neal Rauhauser when she was at the Department of Labor. So therefore the Department of Labor was behind all that trolling of Very Important Tea Party Members (like Greg W Howard). The Office of Public Engagement was just a cover for Dr. Lemus while she engaged in secret spying and trolling on the Twitters. It was she who hired Neal and then Neal hired members of UniteBlue to be the Bean Dogs and troll Very Important Tea Party Members (like Greg W Howard). See? It all makes perfect sense…to Zapem anyway. Just ignore the fact that UniteBlue wasn’t created until the end of 2012. And forget Neal claimed UniteBlue was an opposition research group created by the Tea Party. And forget there’s no evidence that Neal was working with the Bean Dogs until 10 days before Zapem published her Twittergate video. And ignore that there’s no evidence linking the Department of Labor or Gabriela Lemus to Neal Rauhauser or the Bean Dogs. Nor any evidence linking the Department of Labor with Progressive Congress. Once again has Zapem attempted to create a political scandal built on supposition and fantasy rather than facts and evidence. Most telling is what she did with her discovery. Did she alert Tea Party headquarters? Did she alert the media? Did she write a blog post? No. She sent an email to James McGibney. I don’t think she likes me even though i am very nice. But maybe now It’s time people were aware of Zapem’s repeated efforts to manufacture political scandals as a way to promote the Tea Party. And that she may be improperly using law enforcement resources as a means to her ends. In real life, Zephyr/Zapem is a housewife in New Jersey named Joanne Joy. 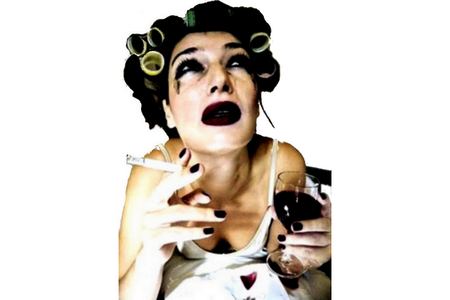 This isn’t a secret, Brooks Bayne posted her identity years ago as did Jennifer Emick. And Neal did too, sometimes. 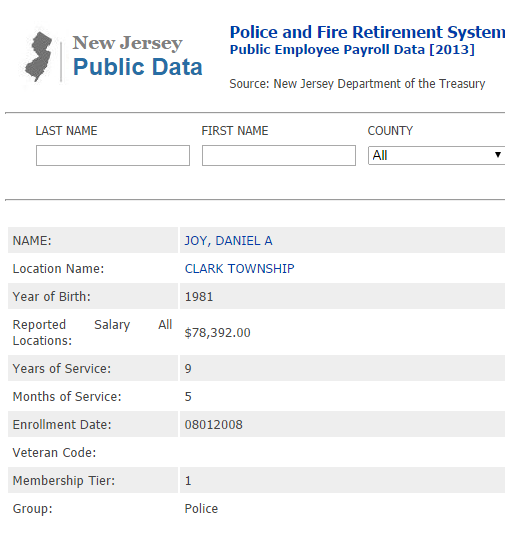 Joanne once worked in the Records Bureau of the Clark Township Police Department in New Jersey. Her husband, Jeffrey, was a lieutenant with the Clark Police Department and a police officer for 29 years before retiring. Currently Jeff is listed as manager of Vested Protection, a private detective agency owned by an accounting agency, Freedman Accounting Services. 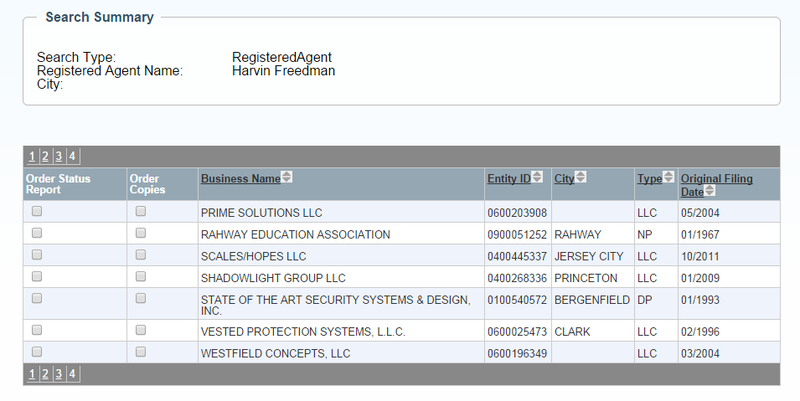 Harvin Freedman is the Registered Agent for the business and the registered owner of the Vested Protection website. Freedman also owns the building where his accounting agency and Vested Protections are located. Actually it’s a house converted to offices. It’s great that Mr Joy dedicated three decades of his life to law enforcement and still works as a private investigator. But there’s cause for public concern when a private investigation agency conducts an investigation that goes on for years and seems to be politically motivated. Who’s paying for Vested Protection to delve into the private lives of citizens exercising their civil rights? Joanne Joy talks and acts like she’s conducting an investigation of criminals. If anyone starts investigating the Joy family or questions their actions, they’re accused of stalking and harassment via multiple sock accounts operated by Joanne. 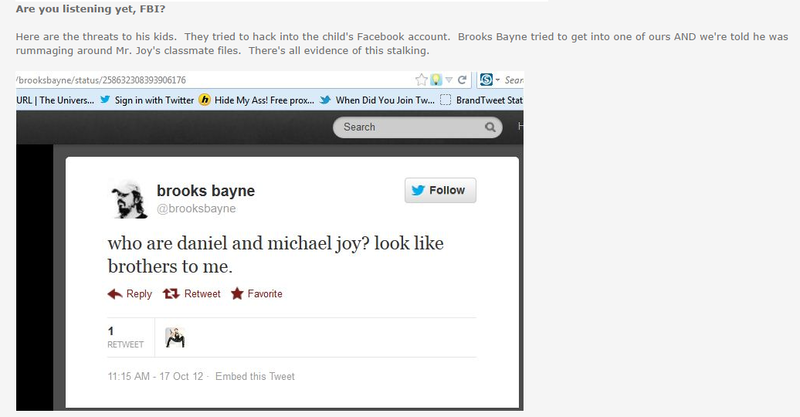 The screen capture below is from Zapem’s site Zandali where she rants about Brooks Bayne tweeting about Jeff Joy’s “kids”. Yes, the Joy’s have twin sons and at the time Bayne sent this “threat”, those “kids” were 30 years old and one of them had already served in the Marines. The Joy Boy’s raise some more questions and concerns. Danny Joy followed in his father’s footsteps and is employed as a police officer with the Clark Police Department. The data below is from 2013 so Danny has been a police officer for 10 years. That’s really great. Besides being a police officer, Danny is listed as the owner of International Victory, a security business, just like his dad. It’s even in the same building! Isn’t that amazing? That house must be a little crowded. It’s certainly full of Joy! Ha Ha Ha! There might be a problem with all that Joy though. 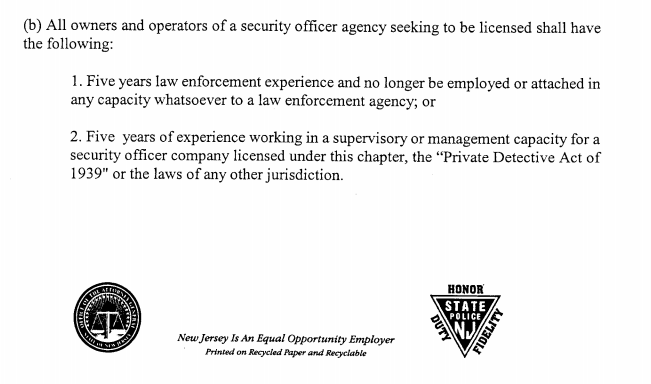 The state of New Jersey forbids an active law enforcement officer from owning a security business. That regulation is not the least bit ambiguous: “no longer be employed or attached in any capacity whatsoever to a law enforcement agency” is pretty clear. Danny’s security agency appears to have been in operation since 2008 and he’s been a police officer since around 2004. This makes one wonder if Joanne has been using the resources of two agencies and a police officer in her politically motivated investigation? 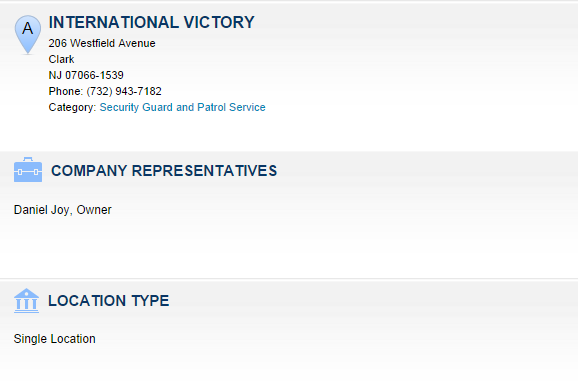 What’s also odd is that the name the business seems to go by publicly “International Victory” is different from the name registered with the state of New Jersey: “Victory International Security Group”. It makes one wonder if there’s some shenanigans going on to hide the business? Another odd thing is when Mike Stack, a friend of Joanne’s, posted some warrants out on Neal Rauhauser. In the margin’s of those warrants was the name of Dorothy [Redacted], the account holder that accessed those records. Dorothy [Redacted] sounds amazing. She started working in the Records Department of Hillsborough Township at the age of 60 and put in 25 years before retiring at the age of 85. But it’s disturbing to see her account being used to access records in 2013 when she retired in 2010! Maybe she was a friend of Stack’s and did it as a favor? Or maybe somebody else who once worked in a Records Department used her account? In her famous emails to Andrew Breitbart, Joanne used her husband’s security agency as the return address (the post on this opens in a new tab here) and clearly states her intentions to destroy the Left. Honestly, anyone who thinks they can do something to destroy the Right or Left on Twitter is seriously deluded. That’s like trying to stop winter by melting some snow. But it is an infringement on civil rights. Zapem doesn’t seem to be in full control of her emotions or actions. 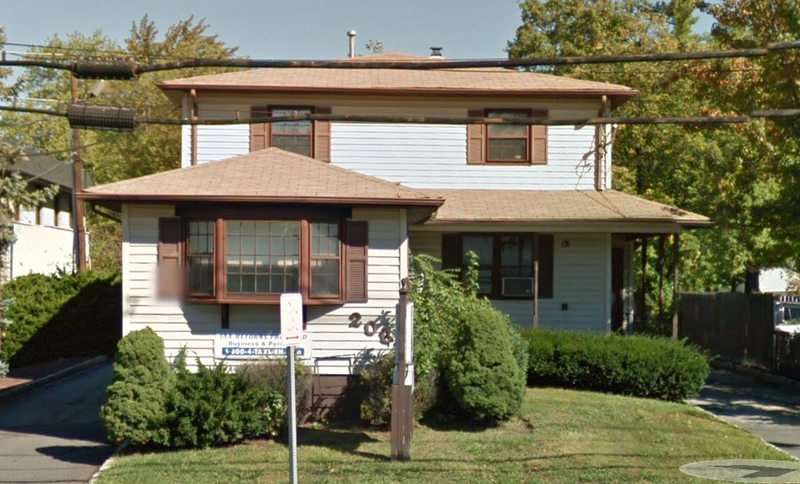 Maybe it’s time the state of New Jersey took a look at those two security agencies in that house in Clark. Anyway, Sunday brunch at Donatella’s was a lot of fun. I stole was given a lot of candy and learned a lot. Remember, if a New Jersey policeman comes knocking at your door, don’t answer! PS, Joanne, tell Danny that the 1980’s called. Olivia Newton John wants her headband back. Ron Brynaert tried to start this rumor that the person's name (e Records Department of Hillsborough Township at the age of 60 and put in 25 years before retiring at the age of 85. But it’s disturbing to see her account being used to access records in 2013 when she retired in 2010! Maybe she was a friend of Stack’s and did it as a favor? Or maybe somebody else who once worked in a Records Department used her account?) contacted them and they wouldn't talk to him. I asked them why that was like that and their response was that it was never changed. I have all of the paperwork and court dates, warrants from dates not publicized (when they got angry that I put them on the internet) The police told me that if I didn't want more trouble and attention, I shouldn't keep drawing attention to myself. 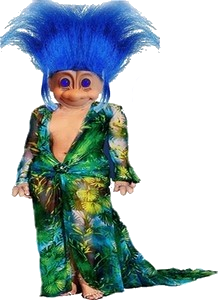 You are welcome to email me at the cryingwolfeblog@hmail.com and I will provide any documents to prove my point. This includes the arbitration I went through in May of 2012 with Neal. Feel free to contact me. I have lots to share.